Release features the Ballad for cello and piano and the clarinet trio Trio in Red, as well as the ballet score On Distant Shore written for Rioult Dance New York. "The Ballad, influenced by the death of the composer’s mother, was originally for cello and cello ensemble prior to this arrangement. Poignantly expressive, the piece casts a shadow far longer than its nine-minute duration. Caroline Stinson is a superb soloist, her tone full, and capable of bringing off the full emotional weight of the climax... Fans of the music of Aaron Jay Kernis need not hesitate." "All through these pieces the one constant of Caroline Stinson's gorgeous instrument carries the common tune, and a beautiful one it is. She has it all, fabulous tone, great technique, innate musicality, and a real sense of how to project a wide variety of contemporary music." "[Caroline Stinson] plays with considerable concern for the listenable aspects of all of this music. That and the relationships between the composers make this a worthy investment..."
"Impressive... Breathtaking... Brilliant... The recording’s three-dimensional reality, captured at SUNY Purchase’s Performing Arts Center, sounds so magnificent that the whole musical experience actually matches the florid imagination of Andrew Waggoner’s booklet-note." 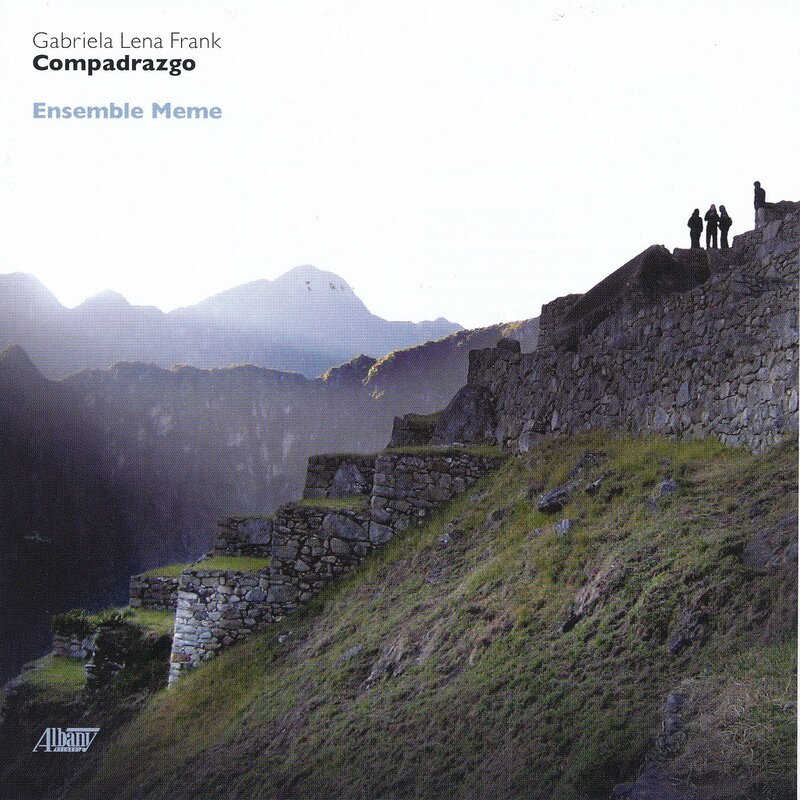 "… a fascinating anthology, and... exceptionally well-played… It’s hard to imagine a more committed and carefully prepared performance..."
Born in Berkeley to a mother of Peruvian/Chinese ancestry and a father of Lithuanian/Jewish descent, Gabriela Lena Frank explores her multicultural heritage most ardently through her compositions. "Lark Quartet manages a performance that brings together the varying definitions of the word ("Exaltation") into a seamless whole that's as much heart as it is head." "The Lark is a quartet rooted in tradition and lyricism, yet the four musicians have an openness and sensitivity to timbre that brings their interpretations nuance as well as occasional edge." "[Waggoner's] music has everything we have come to expect from the greatest of contemporary composers–-confidence, originality, expressivity, and above all, palpable meaning." ""The performances...are stunning. …the musicians rise to the occasion, delivering impassioned and towering performances. Special praise goes to cellist Caroline Stinson, whose beautiful instrument invariably glows like the voice of hope in the ocean of despair." "They simply play MacMillan's translucent and yet penetrating music in a way that allows you to hear every nuance, every phrase and every subtlety of texture." "Five very different pieces of uncompromising and experimental modern composition"
Stucky received the 2005 Pulitzer Prize in Music for Second Concerto for Orchestra. Selected by The New Yorker as one of 2004’s top 10 releases.